"Young Frankenstein, the Musical" is based on the Mel Brooks movie "Young Frankenstein." The story follows the grandson of the infamous Victor Frankenstein and how he finds himself thrust back into the footsteps of his ancestors. 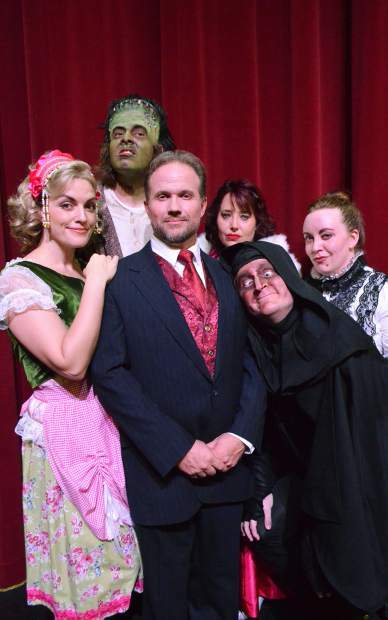 Auburn Placer Performing Arts Center and State Theatre Acting Company present “Young Frankenstein, the Musical” starting on Saturday and continuing through April 22. Based on the popular Mel Brooks movie, “Young Frankenstein,” this live production features a band, goofy gags, snappy dancing, fantastic singing, hilarious lyrics and a tap-dancing monster. Grandson of the infamous Victor Frankenstein, Frederick “Fronkensteen” is surprised to learn he has inherited his family’s estate in Transylvania. With the help of a hunchbacked sidekick and a leggy lab assistant, Frederick, a normally serious medical expert, finds himself thrust into the mad scientist shoes of his ancestors. “Young Frankenstein, the Musical” is every bit as relevant to audience members who will remember the original as it will be to newcomers. With all the panache of the screen sensation and added extra theatrical flair, “Young Frankenstein, the Musical” is scientifically-proven, monstrously good fun. Recommended for general audiences PG-13 and above. All seats are reserved. Prices include all fees. Advance ticket prices are: $24 adults, $22 seniors, $20 youth age 17 & under/students. Day of show tickets are: $28 adults, $26 seniors, $24 youth age 17 & under/students. Group discounts are also available for 10 or more people. The show has a run time of two hours and 30 minutes with an intermission. 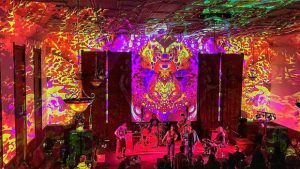 For tickets and show times, visit the website at http://www.livefromauburn.com for details.